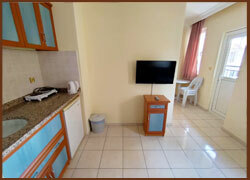 All appropriate furhished apart-rooms are suitable for max.3 persons. They have one living room and one sleeping room. 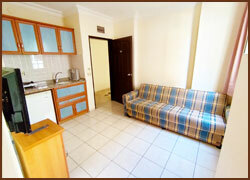 Studio-rooms are max.2 person. 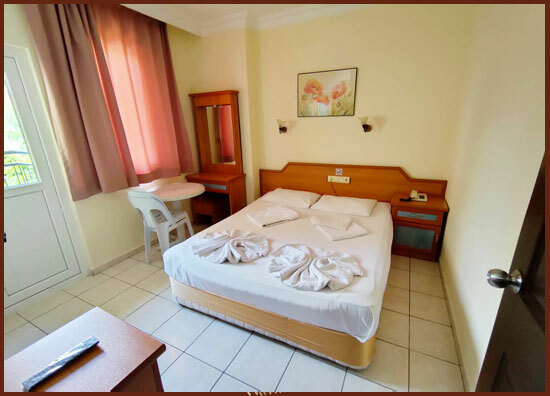 All apart and studio rooms are including balcony, shower / WC, hair dry, safe, airconditioner, TV, telephone, kitchen - corner with mini refrigerator, dishes and cutlery for per person. 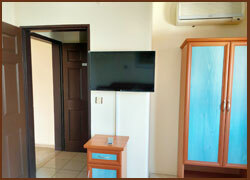 We do our utmost to ensure that your stay with us is both comfortable and enjoyable.